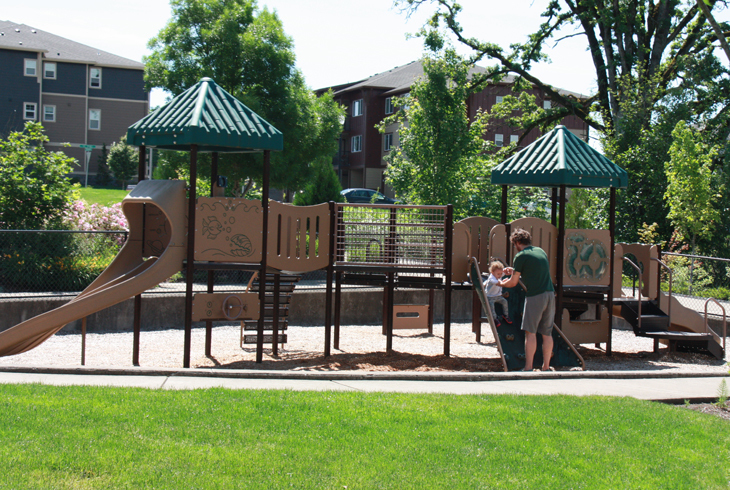 Located along the Cedar Mill Creek Greenway, within the Timberland residential development, is tiny Cedar Mill Creek Overlook Park. The tiny (.25 acre) park is located west of nearby Timberland Park, on Stone Mountain Ln. 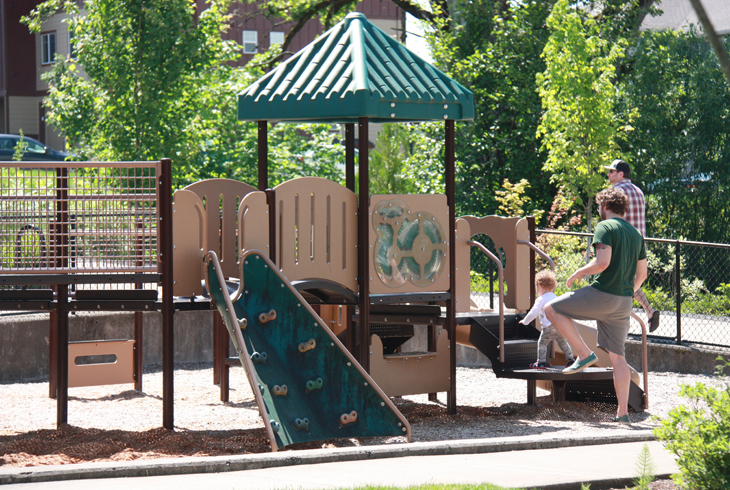 The park consists of a playground, drinking fountain and bench located below a small, sloped grass area. The Timberland development is accessible via NW 118th Ave. (from NW Barnes or NW Cornell) or via NW Lost Springs Ter. (from NW Barnes).